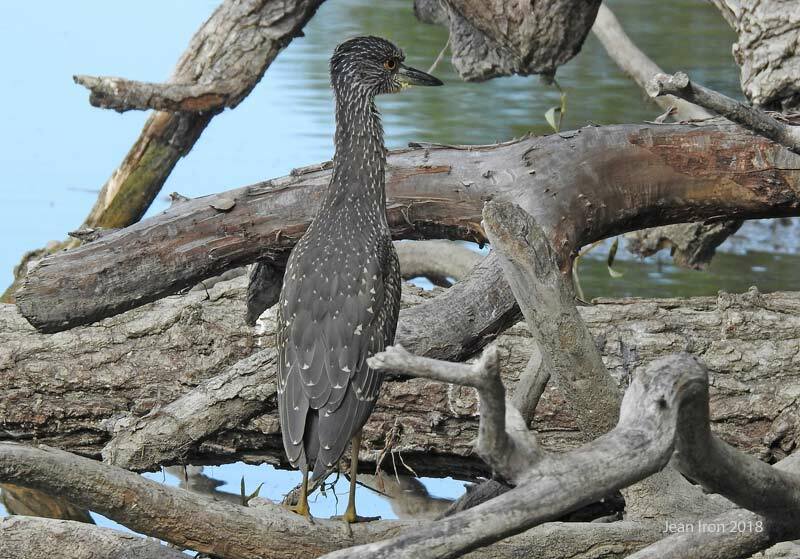 This juvenile Yellow-crowned Night-Heron is on Duffins Creek in Rotary Park, Ajax, east of Toronto. This visitor from the south is rare in Ontario. 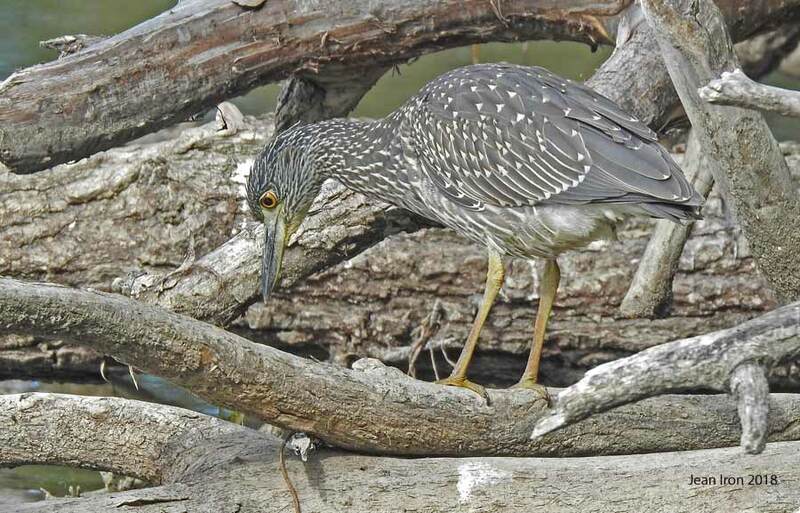 It is similar to Black-crowned Night-Heron except its bill is darker, wider and shorter and its streaks on the front are narrower and more well-defined. We hope it stays for a while. Many thanks to Charmaine Anderson for letting everyone know. 22 September 2018. 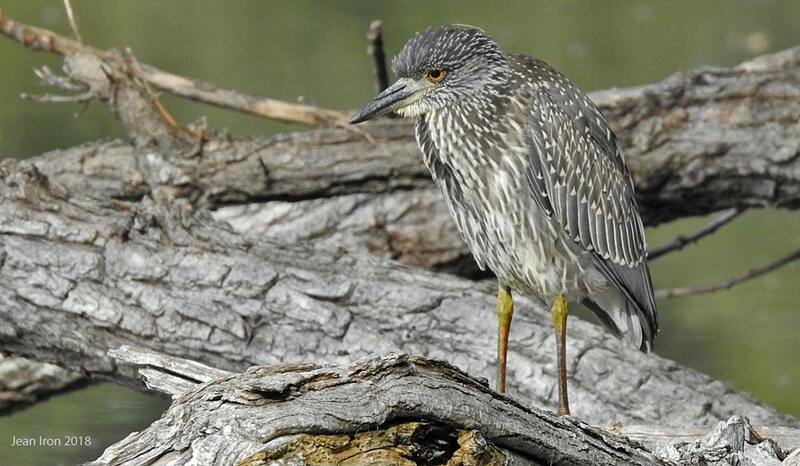 VIDEO 2: More video of the juvenile Yellow-crowned Night-Heron in Ajax, Ontario. Its beautiful plumage is a delight to watch and study. The subtle colours of its feathers give it camouflage. 23 September 2018. It has small neat triangular-shaped spots on its wing coverts, scapulars and tertials. This is a typical stance as it hunts prey from these fallen logs. 22 September 2018. Back view shows neat triangular-shaped spots on its plumage. 22 September 2018.